This XTV is designed to act as a mobile work station. A rolling 38-gallon storage tote with a built-in handle mounts over the cargo area, while the work area can be lit by a 6,000 lumen remote-controlled spotlight and a pair of front-mounted floodlights. For safety and weather protection, a ROPS is included with a solid roof. The XT-L can carry up to 1,000 lbs., tow up to 2,000 lbs. and has a 4,500 lb. 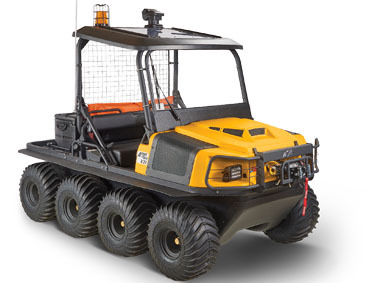 Warn winch with a receiver kit for moving obstacles and retrieving equipment from the front or rear of the vehicle.